We provide exceptional technology services to a wide range of libraries and the patrons they serve. Let our innovative solutions bring your library to the leading edge. We strive to do things that others don't even dream of and we'll settle for nothing less. PIKinc. lives in the library industry every day. We don’t take third party products and try to shoehorn them into half-baked solutions. We start from the ground up and ask the questions that need to be asked to ensure a positive result. This guides our development process as we define the best balance of form and function for every product we create. Sometimes we can use an existing platform as a base, but only if we have the flexibility to enhance the usability to match the needs of our customers and their patrons. You can rest assured knowing that every PIKinc. solution starts with a healthy dose of innovation. We see beyond the traditional barriers that limit other companies. We strive to do things that others don’t even dream of. Our team will settle for nothing less. With so many years of experience in the business, our company is your source for the highest quality in library innovation, but more importantly we believe that the highest quality of service starts with relationship. The sale of one of our solutions is just the beginning. You can expect to hear from us extensively in the weeks leading up to the delivery of your solution. We work hard at building individual relationships between our staff and yours so that when you need assistance down the road, you know that we’re just a phone call or an email away. Our solutions are built for the long haul, and our staff is too. Obviously, equipment will break down from time to time, so all of our solutions include a full coverage warranty period for your peace of mind. We are a library technology services company specializing in innovative solutions to fit your library needs. Around the clock service and support. PIKinc. lives in the library industry every day and we offer around the clock support. We love to take pride in the work we do and we always aim for the bullseye. Each project is finished in time and budget. Your patrons lead busy lives. Let us help you reach them in new and compelling ways. 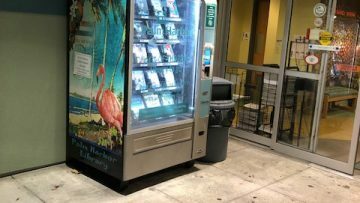 "The book vending machine is so convenient when you just want to grab something to read on the treadmill. Especially when you forgot yours at home. " LOVE LOVE LOVE IT!! 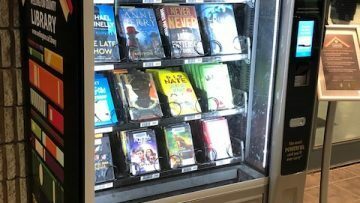 Love the book choices too! "We wanted to reach out to the people in Bantam and others in that area who can’t always get to the center of town,” White said. “Providing greater access to our materials is a goal, and we thought Big Value would be an ideal place to do it. "